USA bats refer to such bats which are approved for use in various leagues by USA Baseball. The good news is that a number of USA bats are currently available in the market. We have compiled a list of some of the best USA bats in 2019. Also included is a quick guide to help you choose the perfect bat. USA Baseball has established this new bat standard to ensure that non-wood bats perform at par with wood bats at the youth level. The standard applies to a number of leagues including Babe Ruth, Dixie, Little League, PONY and AABC. To give you a quick comparison, we have brought together this chart that compares the best USA baseball bats. With this chart, you can quickly get a glimpse of the pros and cons of each model while also getting a good relative idea of each. The chart also allows you to shortlist a bat that suits your requirements more quickly and easily. A wide range of USA bats are available in the market today. Given the sheer range and diversity of the available models, you may be confused as to how to pick the right one. This is why we have brought together a quick list of USA baseball bat reviews. These reviews highlight the key features of top USA bats. With these reviews, you can easily choose a bat that most precisely meets your hitting style and requirements. DeMarini is not a new name in the world of baseball manufacturing. The company has been producing excellent quality baseball bats for a long time. Top-performing DeMarini are available in virtually every category and this is true for the USA bats category as well. The DeMarini CF Zen is a USA baseball bat that comes constructed from composite material. The 100% composite construction of the bat gives it many obvious advantages. 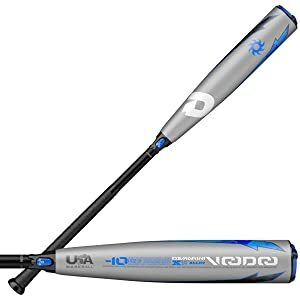 These include an incredibly light-weight design, a barrel that is more responsive and is able to hit far, and a body that is highly durable. A two-piece design further ensures that the handle and barrel work perfectly to maximize the hitting prowess of the bat. CF Zen features a very balanced feel overall. This makes the bat easier to swing so that you can more accurately target the baseball while controlling the momentum of the swing. This bat is length to weight ratio of minus 10 and a barrel sized at 2 5/8 inch barrel diameter. The bat is approved for play in USA Baseball. The Louisville Slugger 2019 Select 719 builds on the strengths of the 2018 version of the bat. The 2019 comes with a few vital modifications which add to its performance and makes it a significant improvement over the 2018 model. For a start, Louisville Slugger has replaced the TRU3 technology in the 2018 bat with VCX Connection Technology in the 2019 model. VXC technology offers a unique advantage – it allows independent movement between the handle and the barrel. This adds to the whip effect and lets players hit harder and farther when swinging this bat. Another notable difference between the bats is the end load. The 2018 model featured a slightly end-loaded design whereas the new Select 719 model for 2019 has a balanced swing weight. This gives players better control over the swing momentum and greater swing speeds. Finally, the 2019 bat features an all-new LS Pro Comfort Grip, something which was not offered in the 2018 model. This new and improved grip offers a great mix of cushion and tack, allowing players to swing comfortably while retaining control. Louisville Slugger is a name that is almost synonymous with the game of baseball itself. The company is one of the oldest, most well-established and most preferred baseball bat brands. Over the course of history, some of the most iconic baseball players have swung a Slugger bat on the plate. With this background in view, it is not surprising to note that the 2018 Select 718 is one of the best USA bats on the market. This bat comes constructed in a 3-piece design. The barrel is made from ST 7U1+ alloy material. The alloy barrel makes this bat more suitable for power hitters who use the sheer strength of their hit to throw the baseball far. The handle is made from 100% composite material, which ensures durability and good flexibility. Louisville Slugger has incorporated TRU3 technology in making this bat. Thanks to this technology, the feedback vibrations for which alloy barrels are notorious are dampened on the connection between the handle and the barrel. As a result, very few of these vibrations reach the handle so that you have a smoother hitting experience. The bat features a length to weight ratio of -10. The 2 5/8 inch barrel comes with a Speed Ballistic Composite End Cap. The end cap makes the bat slightly end-loaded, resulting in greater swing momentum and speed. The 2018 Select 718 bat is approved for use in USA Baseball. Available colors for the bat include Red, White, Gray, Black and Blue. Back in 2018, the Louisville Slugger 2018 Solo was the most popular USA bat. It features an excellent construction and a solid performance on the plate. The same can be said of the new Louisville Slugger 2019 Solo 619 bat. Like its predecessor, this new bat comes with SL hyper alloy construction in a one-piece design. This makes it a perfect option for power hitters in the 2019 season. The bat also features a Speed Ballistic Composite End Cap for better swing speeds on the plate. On the 2019 model, the lizard skin grip has been replaced with the LS Pro Comfort Grip. This all-new grip offers better cushioning and tack for the players. Other than that, the two models have precious few differences. Even in terms of looks, the new model looks a lot like the 2018 model. DeMarini’s Voodoo line-up has received a lot of love over the years. The 2018 Voodoo bat was a great hit and we are expecting the same from the 2019 Voodoo bat which is even better. The two bats have a few minor differences. However, these add up and make the 2019 bat a better performer. For a start, the 2018 Voodoo bat featured a 3Fusion Handle. DeMarini has replaced this with a Paraflex+ composite handle while utilizing the same 3Fusion technology between the barrel and the handle. In addition, the 2019 bat also uses XLite, a feature which reduces weight in the knob by up to 25%. This allows players to swing the bat more easily and have a more comfortable hold around the knob. The new 2019 bat comes in two length options, 28 inches and 29 inches. The new bat also features a more slick and elegant outlook compared to the 2018 model. DeMarini 2018 Voodoo is a third bat from DeMarini that we’ve found to be among the best USA baseball bats this year. This in itself is a testimony to the sheer quality of the products from the company. The 2018 Voodoo bat is for the power hitter. If you are confident in your own hitting prowess to hit the ball hard and far, and simply need a stiff and powerful bat to do the job, this bat is for you. It comes constructed from X14 alloy material in a one-piece design. The one-piece design ensures that the weight is evenly distributed along the bat. It also makes this bat incredibly stiff and perfect for power hitting. 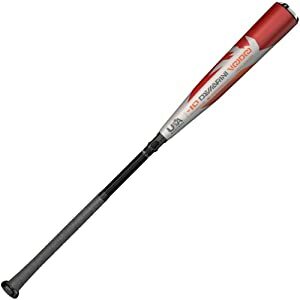 DeMarini has constructed the handle of this bat using 3Fusion Handle technology. Thanks to this technology, the bat has a more balanced and comfortable feel. The barrel of 2018 Voodoo features the 3Fusion End Cap which optimizes the sweet spot and enhances the bat’s performance on the plate. The bat has a weight drop of -10, much like most, if not all, other USA bats. It also has a barrel with a diameter of 2 5/8 inches. Approved for play in Little League, AABC, Babe Ruth, Dixie, Pony and Cap Ripken, the bat carries a USA baseball bat certification. Easton is a famous name in the world of baseball. Countless players choose Easton bats every year because the company’s name is synonymous with quality and performance. These traits are also reflected in the bats the company manufactures. A case in point is the 2018 Beast X Hybrid Youth Bat from Easton. This bat is a part of the famous Beast X line-up of Easton bats. It comes constructed in a two-piece design. The barrel has been made from ATAC alloy. This particular type of alloy delivers an exceptional performance on the plate and a solid punch in the hands of a power hitter. The use of X-tended barrel technology also ensures that the barrel features a fairly long aluminum barrel. As a result, you are able to hit the baseball easier with a larger sweet spot. The handle of Beast X Hybrid bat has been made from composite material. The barrel and handle are joined using the two-piece Connexion technology. Thanks to this technology, vibrations from the barrel are mitigated as they travel to the handle. This results in a smoother and feedback-free hitting for the players. The bat carries USA baseball bat certification. So it is approved for use in all the leagues that require a USA bat. With a -10 weight drop and a barrel sized at 2 5/8”, this bat is an excellent choice. It is available in length options of 29”, 30”, 31” and 32” with corresponding weight options of 19 ounces, 20 ounces, 21 ounces and 22 ounces. The Anderson Bat Company may not be as renowned as some of the other companies on this list, but it is still known for a number of excellent bats. To add to the list of these bats is the 2018 Techzilla S-Series Hybrid bat. 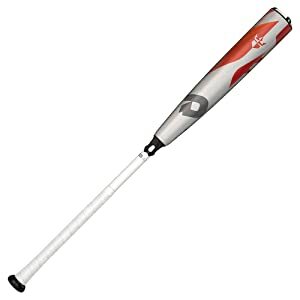 This bat utilizes part composite material and part alloy in its manufacture. The aerospace-grade M1 alloy material contributes to the making of the barrel. The exceptionally stiff barrel is highly responsive and offers an excellent hitting surface. The composite handle has an ultra-thin profile and an exceptional durability. It adds the whip effect to the bat during a hit so that, together with the stiff alloy barrel, a player can hit exceptionally hard and far with this bat. Anderson has topped this handle with a soft and durable grip which makes it easier for the players to swing this bat with comfort and stability. Unlike most other USA bats on this list, this bat has a weight to length ratio of minus 9. 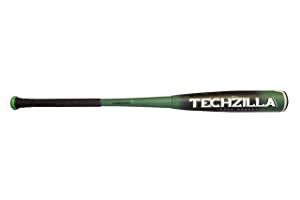 The barrel of Techzilla S-Series Hybrid bat also features a light-weight end cap which enhances barrel performance by dampening the vibrations and channeling the energy into the hitting surface. The barrel has a 2 5/8 profile diameter. Anderson is available in length options of 31 inches and 32 inches with corresponding weight options of 22 ounces and 23 ounces. The Easton Beast Speed is an excellent USA youth baseball bat for the upcoming season. This bat features the hallmark quality and innovation for which Easton is known. Beast Speed comes constructed from alloy. This makes it a particularly good fit for power hitters who will rely on their prowess to hit the ball far. The 1-piece design allows hitters to channel their strength from handle to barrel seamlessly. Alloy construction also allows for an incredibly light-weight profile so that players can achieve great swing speeds with this bat. Easton has used a SPEED cap to top up the barrel. The cap adds more responsiveness and pop to the barrel. The overall design of the barrel is perfectly balanced which means that it is an equally great choice for contact hitters as well. The use of ATAC alloy and Hyperlite design has enabled Easton to ensure a significantly large barrel length in this bat. The larger barrel length allows for a greater sweet spot and more precise hitting on the plate. Beast Speed features a 2 5/8 barrel diameter and It has a weight drop of -10. 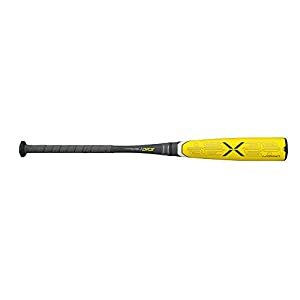 This elegant and stylish bat from Axe is another excellent 2019 little League bat. The bat features a speed-balanced one-piece alloy construction. Axe has used LP1 alloy material in the construction of the barrel – this ensures a durable barrel with maximum pop. The barrel also features a HyperWhip End Cap. The end cap adds to the balance of the bat, removes unnecessary weight from the tip and ensures a smoother hitting experience. Axe has designed and engineered the barrel to offer a 270-degree contact area. As a result, players don’t have to rotate the barrel to hit the baseball right. The handle comes with shock-absorbing endogrid technology and has the iconic ergonomic knob for stable swinging. One of the best youth baseball bats last year was the 2018 Rawlings VELO -11. This year, the new 2019 Rawlings VELO -11 bat is poised to secure a similar degree of popularity. However, there are a very few differences between the two bat. Rawlings offered the 2018 drop-11 model in a single length option – 31 inches. In contrast, the 2019 model is available in length options of 27 inches, 28 inches, 29 inches, 30 inches and 31 inches. So players have a greater degree of flexibility when choosing the right bat size. In terms of looks as well, the 2019 represents an upgrade over the 2018 model. Where the 2018 model featured a slightly bland grey-centric look, the 2019 bat has a more vibrant blue-and-black finish. Rawlings has tried to create a stiffer bat with the 2019 model to make it better suited for contact hitters. The new bat also dampens feedback vibrations more effectively, making for a more comfortable swinging experience. Rawlings dishes out high-performing baseball bats each year. Most of the bats from Rawlings combine affordability with optimal performance and brilliant looks. All these qualities can also be seen in the 2018 Velo USA baseball bat from the company. The Velo bat is constructed from acoustic alloy, which delivers a solid hit and a loud ping. Equally perfect for gap hitters and other players, this bat features a one-piece construction. It is slightly heavy but perfectly balanced feel. When swung right, the bat achieves an exceptional swing speed while delivering a very powerful hit. Rawling has used the POP 2.0 technology in the construction of this bat’s barrel. This technology enhances the flexibility of the barrel so that it delivers more pop and performance on the plate. The bat features a weight drop of -11 which separates it from most USA bats which have a weight drop of -10. 2018 Velo -11 carries the USA stamp which makes it eligible for all leagues that require a USA baseball bat and offering a number of color options. This is the second bat from Rawlings that we have decided to include among our list. The reason is simply that we could not pass on a bat that deliver such an excellent performance, and comes with the brand name of Rawlings. Rawling has constructed this bat using superior-grade 5150 alloy material. The alloy construction brings a powerful and stiff feel to the bat’s structure. This makes it a formiable force in the hands of the right player who relies on power hitting for performance on the plate.The bat is designed to deliver an exceptionally high performance, power and pop. It has been engineered using the POP 2.0 technology. This ensures that the barrel is stretched beyond its regular size to offer an exceptional sweet spot. With the larger sweet spot, players can accurately hit the baseball with the same amount of effort. The bat carries the USA baseball certificate stamp. It is eligible for use in all the leagues that require USA bats as of 2018. One of the best USA youth bats for the 2019 season comes from Louisville Slugger. Given the long-standing reputation of the company and its commitment to excellence, this is no surprise. 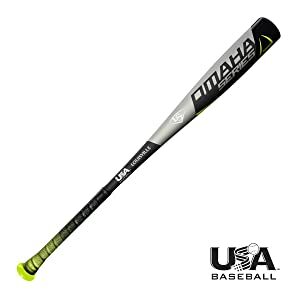 The 2019 Omaha 518 is a one-piece bat constructed from 7-Series alloy material. This ensures that the bat has a fairly sizable sweet spot which offers easy and convenient power hitting. The bat’s barrel is sized at 2 5/8 inches and features a uniquely designed end cap. Omaha 518 has an incredibly sturdy and durable design. It has a 7/8” handle with a synthetic leather fade grip. The weight drop of Omaha 518 is minus 10. Mizuno has consistently ranked among the top baseball manufacturers for many years. The company is counted among the most trusted brands of baseball bats. This is simply because Mizuno bats are reliable in terms of performance and durability. 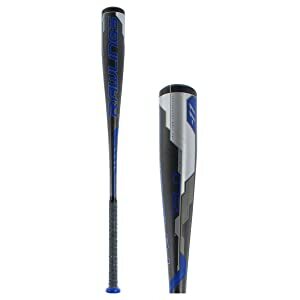 The 2018 MAXCOR SY YTH bat from Mizuno lives up to these standards. The bat comes with a high-tech barrel that utilizes a HotMetal alloy core. The core gives the barrel its classic stiff feeling while keeping the barrel wall thinners and offering a lot more pop. Mizuno has used the CorTech and VP Sleeve technologies in making the barrel of 2018 MAXCOR. These technologies allow the barrel to offer more backspin when it hits the baseball. As a result, you are able to hit the baseball into a longer distance with the same amont of force. The V Sleeve technology also extends the sweet spot of the bat so that you can experience improved performance right away. Coupled with this alloy barrel is a composite handle made from Black Onyx Carbon. The handle offers a stiff feel and together with the stiff barrel, it creates a bat that is perfect for some solid power hitting on the plate. The barrel and the handle are connected through the Dynamic Damper connection. As the name suggests, this connection effectively soaks up any negative vibrations running down the bat. And you get to enjoy a very comfortable hitting when wielding this bat. To top it, the handle comes pre-wrapped with Super-Helix grip. The grip allows a player to secure the bat with a more stable and flexible hold. With a weight drop of minus 5 and a 2 5/8 diameter, this bat is perfect for use in USA baseball league matches. One of the best ways of choosing the right bat is to pick it up and feel it. If you want a bat for your young one, let him hold the bat in his hands, swing it and get a real feel of it. Such practical testing essentially lets a player see if he is comfortable with the length, weight, grip and other aspects of a bat. It is also a more intuitive way of selecting a bat. You may still want to consider other factors but we highly recommend that you hold and swing a bat at least once before deciding in its favor. The drop weight of a bat refers to the net different between the length and weight of a bat. For instance, if a bat is 30 inches and weighs 20 ounces, it has a drop weight of minus 10. Drop weight essentially tells you how heavy or light-weight is the bat. If the drop weight is high, the bat is lighter in profile as less weight is distributed along its length. If drop weight is low, the bat is heavier. Now if the player is physically strong and prefer power hitter, a bat with a low drop weight will suit him very well. Alternatively, if the player is a contact hitter and needs a bat with good and easy swing, a higher drop weight is the way to go. With the new USA bats regulations, players are now allowed to go beyond the previous standard barrel diameter of 2 ¼ inches. This means that barrels with a diameter of 2 5/8 inches are now allowed. You have to choose the right barrel material and size when selecting a USA bat. If the barrel is constructed from alloy, it is stiff and offers a solid punch but it lacks in terms of the trampoline effect or bounce. At the same time, an alloy barrel is typically heavier than a composite barrel. Composite barrels, in comparison, offer excellent performance by delivering a higher degree of bounce. When it comes to barrel size, the choice depends greatly on the player. A player who is more experienced and seasoned can take a smaller barrel and do wonders with it. A player who is still honing his skills may feel more comfortable with a larger barrel which affords a larger hitting surface for greater accuracy. Like the barrels of USA bats, the handles also come constructed from a variety of materials. The most common are alloy and composite materials. Alloy handle is typically used along with an alloy barrel. Together, the two make a very stiff bat that is perfect in the hands of a power hitter. A composite handle, on the other hand, brings more whip effect to the bat. It is more flexible, so it lets you add more dynamic force and speed when swinging the bat on the plate. As a result, the handle’s speed adds to the hitting force of the barrel. USA bats, like baseball bats in other categories, are constructed in one-piece, two-piece of three-piece designs. Each design type has its benefits and is suitable for a specific type of player. One-piece USA bats come constructed entirely from a single material and without any breaks. This gives them a stiff and durable feel. One-piece bats are good for players who rely on their strength to hit hard. Two-piece bats feature a barrel and a handle, often constructed from different materials and joined together. In most cases, two-piece bats feature an alloy barrel and a composite handle. They may also feature composite barrel and composite handle joined together as two separate pieces. Two-piece bats deliver more whip effect and greater speed. Three-piece bats are pretty much like the two-piece bats with one vital difference: they have a small connection piece that joins the barrel and the handle. This tiny connection essentially dampens any feedback vibrations and offers a more comfortable swinging experience. These bats are right for players who want the speed of a two-piece bat as well as the comfort of feedback-free hitting. Swing weight is another vital factor when it comes to USA bats. As a general rule-of-thumb, the greater the swing weight is, the less is the swing speed going to be. Alternatively, if the swing weight is less, the swing speed will be greater. The two are inversely proportional. So if the player is a power hitter who can rely on his own speed and strength, he may wield a bat with greater swing weight effectively. A contact hitter on the other hands need more speed and should preferably go with a lighter bat. USA bats also differ in terms of the distribution of their weights. Bats which feature a perfectly equal weight throughout its body are considered balanced bats. Balanced bats have a more predictable swing momentum and offer greater hitting precision. End-loaded bats, on the other hand, feature a slightly additional weight towards the barrel end. This makes them barrel-heavy. These bats are perfect for power-hitting on the plate although they have a slightly unpredictable swing momentum and require some getting used to. It is important to check whether a given bat is approved for use in the league in which the player is going to participate. In general, any bat with USA certification stamp is approved for use in AABC, AAU, Pony, Babe Ruth, Dixie and Little League. USA bat standard is a new set of guidelines that govern the performance of youth bats. This is a relatively new standard and has been adopted recently. It came into effect early in 2018 and is overseen by the USA Baseball organization. The basic purpose of the rules set forth by USA Baseball is to make sure that non-wood bats come at par with wood bats in terms of performance. It is also to ensure the safety of players in youth leagues. According to the USA bat rules, barrels that are sized above 2 ¼ inches are now allowed in youth league matches. This means that according to these rules, 2 5/8” barrels are now legal as long as they are certified by USA baseball. The other major requirement is that any bat that is to be used in the league matches of national member organizations of USA Baseball will need to carry the USA Baseball certification stamp. Any bats that don’t carry this stamp, even if they meet the certification requirements, are not eligible for use in the youth league matches. 1. What make USA bat different from other bats? A USA bat is designed to perform as well as a wood bat. This means that compared to other bats such as the bats with USSSA 1.15 BPF certification, a USA bat hits the baseball less hard and far. USA bats are also required to carry the certification stamp from the USA Baseball organizations which makes them stand apart from other baseball bats. 2. Can you roll USA bats? USA bats, much like most other baseball bats, can be rolled using heat rolling. Heat rolling essentially speeds up the break-in process for these bats while enhancing their pop and performance. As a result, most bats which have undergone heat rolling are able to improve their hitting limit by 40 to 50 feet. However, the important thing to consider is the legality of heat rolling. Many leagues expressly prohibit rolling of baseball bats. So you must check with the regulations of the relevant league before making the decision. 3. 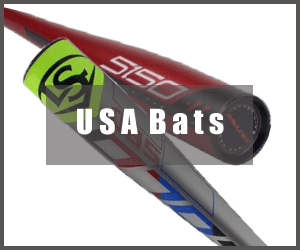 Can you use USA bats in USSSA? 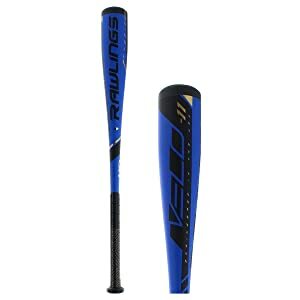 USSSA has allows its players to continue using the USSSA 1.15BPF bats that they have been using previously in the league matches. This means that the league has officially decided not to adopt the new standard from USA Baseball. However, USSSA is allowing players to use the new USA bats as long as these bats meet other specifications. The new USA bats are all set to change the game of baseball, at least on the youth level. These bats are meant to make the game safer for the players and fairer by standardizing the performance level of all the bats. That being said, it may take a while for this standard to catch on. Although most leagues such as Pony, Dixie, Little League, Babe Ruth and AABC have already adopted the new USA Baseball standard, others such as USSSA have decided to go the other way. But it is only a matter of time before USA bats become the standard for youth matches. This is why it is vitally important to get the right USA bat for your young one. Finding the right bat in this category can be somewhat hard, especially because it is a recent standard and bats are only beginning to arrive with the new USA baseball certified stamp. One of the key reasons for putting together this guide is to make it easier for you to choose the right bat. The guide contains not only the best USA baseball bats to have arrived this year but also a comprehensive list of factors you must consider when purchasing the bat. It also elaborates on key aspects of the new standard, such as the rules that apply to it and the leagues that are following the new standard. It is important to note here that at the end of the day, the right USA youth bat will greatly depend on the individual needs and requirements of a player. The length, weight, physical strength, hitting style and expertise level are several of the factors that are specific and unique to each player. So you must consider these factors when making the final decision. Ideally, the best USA bats are the ones that combine the classic set of qualities – optimal performance, durability and comfort. They should let a player hit accurately and right on the plate while offering a smooth and comfortable hitting experience. At the same time, they should be durable enough to last one or more seasons and make the purchase worth it. The bats we have shortlisted above live up to these standards and come from the leading baseball manufacturers. This is what makes them the best in their respective category. 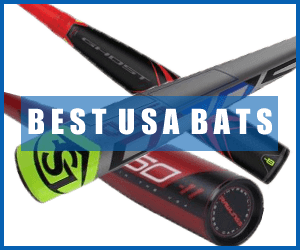 Best 2019 USSSA Baseball Bats – Explore top 4 Rated Now! Hi Joe, yes we have reviewed a Axe Bat that 2019 Avenge one in this article. Please check it. Thanks Joe. Is there any difference between the 2018 Louisville Select and the 2019 offering? Your article discusses the 2018 only. This is for USA. Thanks, Jim from NH. Hi Jim, We have updated the article and you can find our review about 2019 Louisville Select in this. Thanks for your comment Jim. Have you had a chance to review Louisville slugger Prime 919 USA bat? Hi Johnny, We will review about Louisville slugger Prime 919 soon. Thanks for your visit. Also looking for thoughts on the 2019 prime USA edition.. I hope it translates well for I already purchased one for my 11 yr. old. He has used a Prime since 7yrs old and had to move away from it last year and he was very unsatisfied with Solo and the Easton hybrid. Looking forward to your review you guys give one of the best out there keep it up. Is there a way to get notified when it comes out?